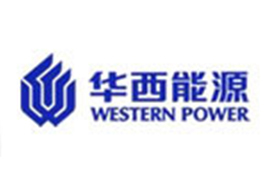 China Western Power Industrial Co., Ltd. （Abbreviation: CWPC, Stock Code: 002630）is the base of research & development, manufacture and export in China for large-scale power plant boiler, special-type boiler and power station auxiliary equipment. CWPC is also the professional supplier of system solutions for power equipment. CWPC covers an area of 420,000 square meters, which includes manufacture and construction area of 250,000 square meters. CWPC establishes R & D, manufacture base for energy conservation and environmental protection boiler, technical & marketing center and equips more than 1000 sets of various processing equipment. CWPC owns ASME “S” Stamp (power boiler)，ASME “U” Stamp (pressure vessel),A-class boiler manufacturing license, pressure vessel manufacturing license (A1,A2), ISO9001 quality management system certification. There are nearly 2000 employees, which include more than 800 professionals who can provide you with technical services.